For decades in high-purity industries such as pharma, semiconductors and specialty chemical manufacturing, the Holy Grail has been a Coriolis flowmeter that meets USP Class VI for use in ultra-pure measurement applications. Traditional Coriolis flowmeters, with their measurement tubes made from metal alloys, simply cannot meet the requirements of these applications. And for years, the conventional wisdom was that a Coriolis flowmeter with an all-polymer measuring tube was simply not practical. Malema Sensors appears to have changed that. According to Dan Malani, Malema's CEO, the introduction of the CPFM 8800 High-Purity Coriolis flowmeter is a step change in flow measurement for the high-purity flow applications in pharma and semiconductors. "Existing Coriolis flowmeters are unable to serve a large number of applications simply because they contaminate a process fluid with metallic ions," Malani says. "Such applications include many semiconductor fabrication processes, bio-pharmaceutical processes and numerous applications involving aggressive liquids that corrode metals. Many processes inherently contain bubbles and existing flowmeters (including those that operate on the Coriolis principle) simply can't measure liquids under such two-phase flow conditions." Malani goes on, "We wanted to develop a new kind of Coriolis flowmeter fabricated from PFA (perfluoro alkoxyalkane copolymer), as well as other plastics, to provide a breakthrough solution overcoming such limitations of traditional Coriolis flowmeters." Alan Young, Malema CTO (and a founder and vice president of R&D at Exac Corp.), is the design lead for the CPFM 8800. "The design of an all-plastic Coriolis flowmeter was considerably more challenging than designing one from metal," he says. "Our patent-pending flow sensor and its methods of manufacture do not employ any tubing, metal or plastic liners, and required the development of a solid, one-piece structure using several new manufacturing technologies in order to fabricate a complete flow sensor. All wetted components are fabricated from PFA." Young continues, "The sensor design, while scalable to larger flow rates, allows measurement of mass flow rates as low as 5 grams per minute. Sensor flow paths are currently U-shaped, but sensors with different flow paths are under development. 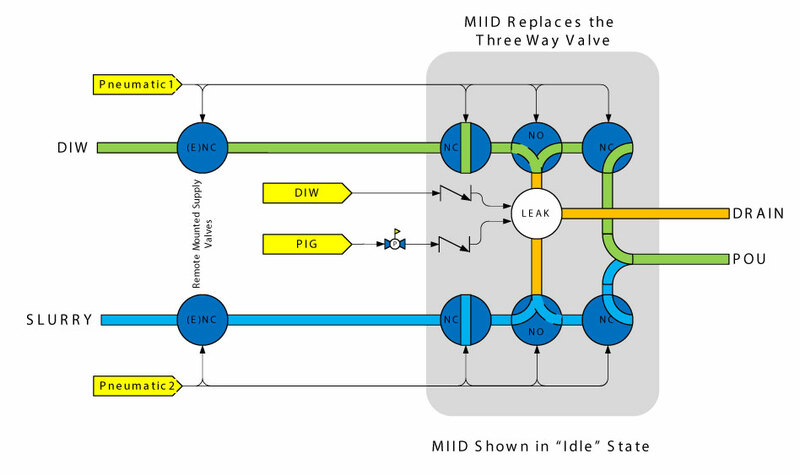 The unique design of the supporting electronics preferentially locks on to the sensor's operating frequency and, unlike conventional Coriolis flowmeters, measures the sensor's Coriolis response continuously." Young also noted that the CPFM 8800 measures two-phase flow with gas volumetric void fractions as great as 30%. The CPFM 8800 is supplied in two versions, with four maximum measurement ranges, from 5-1500 g/min to 60-5000 g/min, and varying zero offset stability from 0.06 g/min to 7.0 g/min, depending on the model and flow range. The pressure drop at maximum flow range is quoted at 10 psi of water at 1 cP. Accuracy quoted is ± (1% of reading + 3 g/min), which compares favorably with other Coriolis flowmeters. 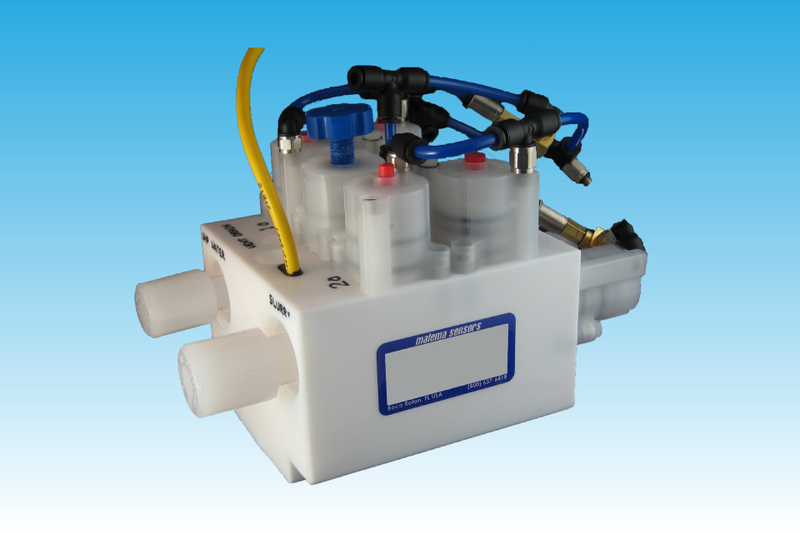 Operating temperature is 15°C to 40°C, and maximum operating pressure is 80 psig. A 3/8-in. tube connection is supplied as standard. Consult the factory for non-standard temperature, pressure and connection designs. The wetted material of the flow tube is DuPont Teflon PFA 450 HP and meets USP Class VI for purity. The flowmeter is supplied with both a 4-20 mADC analog output and digital I/O. The current loop drives 500 Ω maximum load. The digital I/O can be configured as a frequency output (highest accuracy analog output) or as straight digital I/O. The frequency output is 0-10 KHz proportional to flow rate. Tests of the CPFM 8800 as a mass flow controller are currently ongoing at customer sites. Operator parameter configuration is through a USB interface with a PC or laptop. The transmitter may be mounted up to 30 meters maximum cable distance to the sensor. 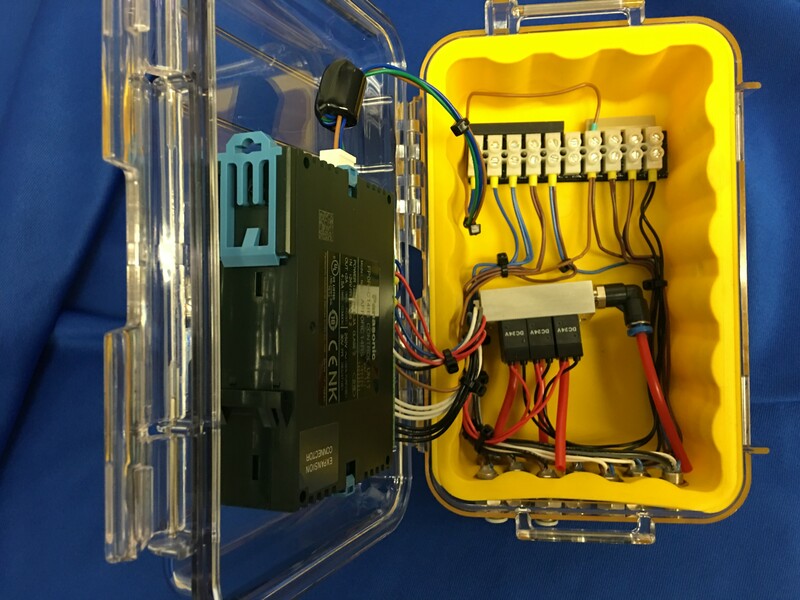 The CPFM is available in unrated general-purpose enclosures. with IP-rated enclosures forthcoming.